In recent years, the frequency of proxy contests at public companies has increased, focusing more attention on the way institutional investors decide how to vote their proxies. Issuer dissatisfaction with the role of proxy advisory firms in this decision-making process has been a steady drumbeat for decades. In part, public company issuers are understandably unhappy that there is not more competition; Institutional Shareholder Services Inc. (“ISS”) and Glass Lewis dominate the market for providing proxy advisory services. The Securities and Exchange Commission (“SEC”), however, cannot regulate its way to requiring that additional players enter the market. Absent legislation, the question becomes what, if anything, the SEC can achieve under its current rulemaking authority or through SEC staff guidance. What action could help address public company issuer concerns without raising barriers to entry or otherwise negatively impacting competition for proxy advisory firms by increasing regulatory costs, which would undoubtedly be passed on to institutional investor clients? It is a complicated path strewn with the potential for unintended consequences. 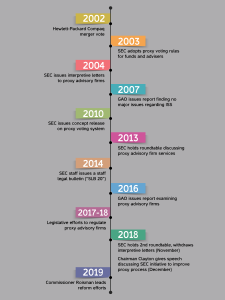 This article describes the history of the issues around fund and asset manager use of proxy advisory firms in connection with fund proxy voting, highlighting how we got to where we are today. It then discusses some of the difficulties the SEC faces in moving forward with any additional regulation. Finally, it provides some practical considerations to fund directors and asset managers with regard to fund proxy voting in this uncertain time. A year or so later, certain proxy advisory firms asked the SEC staff to clarify how investment advisers could determine that a third party, like a proxy advisory firm, was, in fact, independent for purposes of Advisers Act rule 206(4)-6. The SEC staff issued two interpretive letters outlining that an investment adviser could use a proxy advisory firm that itself had a conflict if the adviser determined that the proxy advisory firm “has the capacity and competency to adequately analyze proxy issues and can make such recommendations in an impartial manner and in the best interests of the adviser’s clients.”9 In particular, the letters indicated that advisers should obtain information from the proxy advisory firm to make this determination and suggested that an adviser require the proxy advisory firm to disclose relevant facts relating to the conflict, whether that be on a case-by-case basis or on the basis of the proxy advisory firm’s conflict procedures. In 2010, the SEC issued a concept release on the proxy voting system, noting that it had been almost 30 years since the SEC last conducted a comprehensive review of proxy voting issues and pointing to corporate and investor interest in promoting greater efficiency and transparency in the system.12 The concept release sought comments as to whether the proxy system as a whole operated with the accuracy, reliability, transparency, accountability and integrity that investors and issuers should expect, and focused on issues such as over- and under-voting, vote confirmation, proxy voting in the context of securities lending, proxy distribution fees and issuers’ ability to communicate with beneficial owners. As part of that release, the SEC suggested that proxy advisory firms may be investment advisers because part of their service is issuing reports about securities.13 The SEC noted that, as fiduciaries, proxy advisory firms that were registered as advisers would have to disclose conflicts of interest to the institutional investors they advised. Following the roundtable, the SEC’s Chairman and Commissioners continued to speak to issues around corporate governance.18 In mid-2014, SEC staff from both the Division of Investment Management (“IM”) and the Division of Corporation Finance (“CF”) issued a staff legal bulletin that provided guidance about investment adviser responsibilities in voting client proxies and retaining proxy advisory firms (“SLB 20”).19 SLB 20 also provided guidance on the availability and requirements of two exemptions to the federal proxy rules that are often relied upon by proxy advisory firms. In particular, IM staff reiterated positions from the interpretive letters that investment advisers, in determining whether to retain or continue using a proxy advisory firm, should conduct due diligence to ensure that the adviser, acting through the proxy advisory firm, continued to vote in the best interests of its clients. In addition, IM staff clarified that an investment adviser and its clients may agree to arrangements whereby the adviser would not vote every proxy. In addition, CF staff made clear that, if a proxy advisory firm relied on certain exemptions from the federal proxy rules and therefore was required to disclose a significant relationship or material interest, that disclosure must be sufficient for the recipient to understand the nature and scope of the relationship or interest, including the steps taken to mitigate the conflict of interest, such that the recipient could make an assessment about the objectivity of the recommendation. In other words, the proxy advisory firm must make more than a boilerplate disclosure regarding the conflict of interest. In 2016, in response to issues raised by some members of Congress, industry associations and academics, the GAO issued another report that examined proxy advisory firms’ influence on voting and corporate governance, the level of transparency in their methods and the level of regulatory oversight with regard to such methods.20 The GAO interviewed various stakeholders, including public company issuers, institutional investors and proxy advisory firms. The GAO report reflected varying views, but it contained no recommendations. Although not directly related to fund use of proxy advisory firms, another important conversation taking place around fund voting relates to the “common ownership” theory expounded by certain academics. This theory posits that index funds and index ETFs have perverse incentives because they seek only to match the performance of an index (rather than over-perform) and will use their vote to induce portfolio company management to reduce intra-industry competition, thereby harming the portfolio company’s other shareholders. Some academics that subscribe to this theory have argued that passive funds should not be permitted to vote or should have to pass voting to fund shareholders.26 While the asset management industry and certain other academics have criticized the common ownership theory,27 it has caught the attention of regulators globally,28 and its potential impact on fund voting cannot be ignored in the debate around fund voting and the use of proxy advisory firms. While there is general agreement that improvements are needed with regard to the proxy voting process, there is no consensus around issues related to fund adviser and other institutional investor use of proxy advisory firms. While these issues have been discussed and debated for years, and while the SEC staff has made efforts to address at least some aspects of these issues, the SEC’s efforts have not stopped the criticism. Public company issuers believe ISS and Glass Lewis have too much power over public company governance. Asset managers believe that their use of proxy advisory firms, whether for administrative processing of votes, research reports, assistance with custom guidelines, or otherwise, is appropriate. The SEC faces significant hurdles to moving forward with any rules or regulations. First is the issue of bandwidth. Issues specifically related to proxy voting are on the long-term actions (as opposed to active list) on the recent Regulatory Flexibility Agenda, and the Chairman has spoken publicly, including in his December 6, 2018 speech, about his intent to focus the agenda on rulemakings that the Commission can reasonably complete. Moreover, in addition to issues around proxy advisory firms, there are a number of other proxy-related issues (e.g., proxy voting mechanics and issues around shareholder proposals). All of these issues have the potential to be complicated and controversial, and stakeholders with strongly held views will likely challenge any rules or regulation from different perspectives. In addition, the SEC is subject to significant regulatory requirements to justify regulation on cost-benefit grounds.31 For all of these reasons, the SEC faces a difficult road ahead in taking action to significantly improve the situation for all interested parties in 2019. 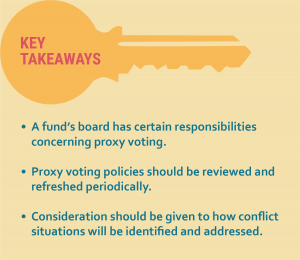 Funds and their advisers cast a large number of votes on public company proxies in a short proxy season.32 This section highlights some background on proxy voting, including common proxy voting structures and processes and practical considerations for fund boards and advisers. The board also must approve and annually review the adequacy of a fund’s policies and procedures as part of the fund’s compliance program. Some boards adopt a separate fund policy while others determine to rely on the fund adviser’s policy.36 If relying on the fund adviser’s policy, the board should understand the process the adviser uses to determine when it has a conflict, how the adviser’s process addresses conflicts (e.g., use of committees, firewalls or third-party service providers) and how the adviser will disclose conflicts to the board or otherwise provide appropriate reporting to the board. Administrative services. An adviser could be responsible for thousands of votes per year for registered investment companies. Advisers may engage proxy advisory firms to assist in the mechanical processing of proxy votes, similar to how advisers engage other service providers for operational functions. This might include data tracking and administration as well as workflow management processes. For example, an adviser could use a proxy advisory firm to provide notifications and reminders of upcoming proxy votes; provide coverage and translation services with respect to foreign issuers; communicate voting recommendations and rationales; execute voting instructions; record and report proxy voting records; and prepare and/or file Form N-PX for funds. Research and analytics. An adviser may receive research from proxy advisory firms to use as an input to the adviser’s own decision making. Advisers may choose to receive information based on standard benchmark policies or more specific policies. Using proxy advisory firm recommendations. Proxy advisory firms may offer vote recommendations based on their own guidelines that the adviser takes into account in its own decision-making process. Smaller asset managers may vote proxies in line with a proxy advisory firm’s recommendations subject to the asset manager’s override. Using a proxy advisory firm to help draft guidelines. Some advisers use a proxy advisory firm to help draft or update their own voting guidelines, especially in areas where the adviser lacks expertise. As a fiduciary to the funds it advises, an adviser must address conflicts consistent with Advisers Act rule 206(4)-6. A fund adviser with voting authority must adopt and implement policies and procedures reasonably designed to ensure that it votes proxies in the best interest of the funds it advises, and those policies and procedures must address material conflicts that may arise between the interests of the adviser and the funds it advises. Creating a predetermined voting policy. This effectively limits the adviser’s own voting discretion on individual votes. 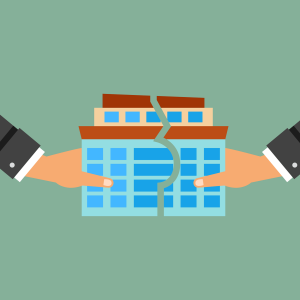 A predetermined policy may not always be sufficient as the adviser may have valid (i.e., non-conflict related) reasons to deviate from the policy, or the policy may not cover every possible situation. An adviser therefore may wish to consider appointing a committee or designating particular personnel who otherwise are not involved in the proxy voting process to help determine how such matters should be voted. 1 Chris Gaither, Hewlett Heir Files Lawsuit to Overturn Merger Vote, NY Times (March 29, 2002). 2 Deutsche Asset Management, Inc., Advisers Act Release No. 2160 (Aug. 19, 2003) (SEC alleged that the asset manager failed to disclose a material conflict, namely that its parent was working for Hewlett-Packard on the merger and had intervened in the asset manager’s proxy voting process on behalf of Hewlett Packard). See also U.S. Gov’t Accountability Office, GAO-04-749, Additional Transparency and Other Actions Needed in Connection with Proxy Voting (2004) (recommending changes to ERISA and DOL action). 3 See Disclosure of Proxy Voting Policies and Proxy Voting Records by Registered Management Investment Companies, Investment Company Act Release No. 25922 (Jan. 31, 2003) (the “Fund Rule Release”), and Proxy Voting by Investment Advisers, Advisers Act Release No. 2106 (Jan. 31, 2003) (the “Adviser Rule Release”). 4 See Investment Company Act rule 30b1-4 and form N-PX. 5 See Advisers Act rule 206(4)-6. In addition, Advisers Act rule 206(4)-6 requires an adviser to disclose to its clients information about the policies and procedures and to disclose to clients how they may obtain information on how the adviser has voted proxies. 6 See Adviser Rule Release, supra note 3. 9 Egan-Jones Proxy Services (pub. avail. May 27, 2004); Institutional Shareholder Services, Inc. (pub. avail. Sept. 15, 2004). 10 Some also have contended that Glass Lewis’s ownership by the Ontario Teachers’ Pension Plan Board raises conflicts. See, e.g., Chamber of Commerce Comment Letter to the SEC (May 30, 2012) (alleging that its activist owner influenced Glass Lewis’s recommendation to oppose the board of directors for a Canadian railway in a proxy battle with an activist hedge fund). Both ISS and Glass Lewis publicly disclose information about their respective conflicts of interest. 11 U.S. Gov’t Accountability Office, GAO-07-765, Issues Relating to Firms that Advise Institutional Investors on Proxy Voting (2007). The GAO report contained no recommendations. 12 Concept Release on the U.S. Proxy System, Investment Company Act Release No. 29340 at 109 (Jul. 14, 2010) (“Concept Release”). See also, Mary L. Schapiro, Chairman, Remarks at the National Conference of the Society of Corporate Secretaries and Governance Professionals (Jul. 9, 2010). 13 As indicated, ISS already had been registered as an investment adviser, but certain other proxy advisory firms, such as Glass Lewis, had not registered. 14 See, e.g., James K. Glassman & J. W. Verret, How to Fix our Broken Proxy Advisory System, Mercatus Ctr. at George Mason Univ. (April 16, 2013) (“How to Fix our Broken Proxy Advisory System”), (“Unfortunately, the rule became a classic case of unintended consequences. Many institutional investors largely outsourced their shareholder voting policies to a proxy advisory industry that relies on precisely the type of ‘one-size-fits-all’ policies that were intentionally excluded from the original regulation because of objections by commissioners. 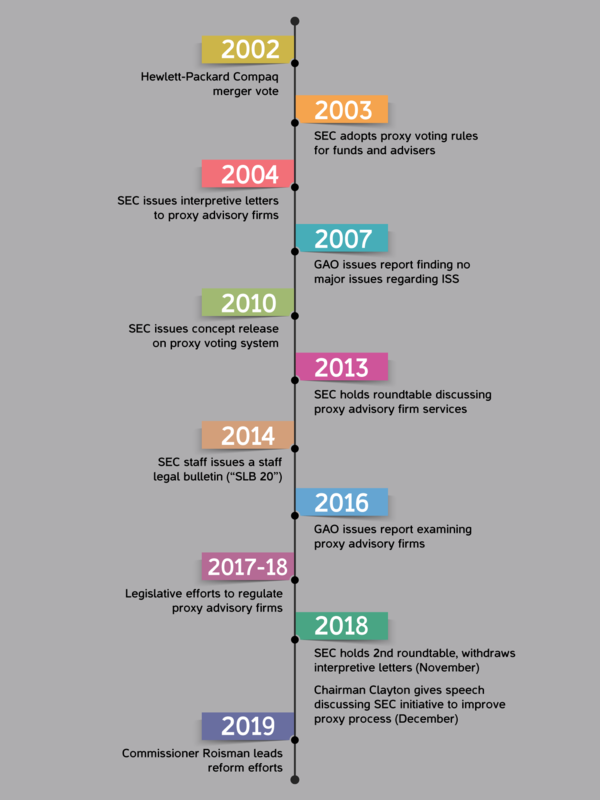 The SEC staff interpretation of the rules on proxy voting have led to the opposite result of what many of its supporters intended.”). See also, Daniel M. Gallagher, Commissioner, Remarks at Society of Corporate Secretaries & Governance Professionals,” (July 11, 2013), (“Given the sheer volume of votes, institutional shareholders, particularly investment advisers, may view their responsibility to vote on proxy matters with more of a compliance mindset than a fiduciary mindset. Sadly, the Commission may have been a significant enabler of this [through rule 206(4)-6 and the interpretive letters]”). But see Stephen Choi, Jill Fisch & Marcel Kahan, Who Calls the Shots? How Mutual Funds Vote on Director Elections, 3 Harv Bus L. Rev. 35 (2013) (finding a substantial degree of divergence in fund voting from ISS recommendations). 15 See IBM Comment Letter on the Concept Release (Oct. 15, 2010), (institutional investors vote in a lock-step manner (i.e., 100% in accordance) with the ISS recommendation). 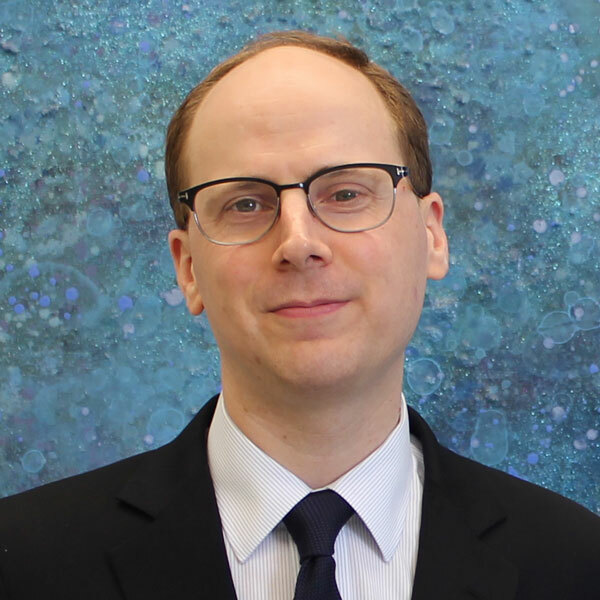 See also Morris Mitler, Sean Collins & Dorothy Donohue, Funds and Proxy Voting: Funds Vote Thoughtfully and Independently (Nov. 7, 2018), (in 2017, while funds voted in lock-step with ISS recommendations on proposals submitted by management, which tend to be routine business matters, that correlation breaks down when funds vote on shareholder proposals, which tend to be much more debated). 16 “To a large degree, corporate directors and executives are now subject to decision making on critical issues by organizations that have no direct stake in corporate performance and make poor decisions as a result. Conscientious shareholders, who do have such a stake, also suffer because their votes are usurped or overwhelmed by these same organizations. The SEC’s proxy policy rules have led to results unimagined by their original advocates.” How to Fix our Broken Proxy Advisory System, supra note 14. 17 The Commissioners themselves disagreed on the extent of any problems. For example, Commissioner Gallagher strongly sided with corporate interests, arguing for the need for “Commission guidance clarifying to institutional investors that they need to take responsibility for their voting decisions rather than engaging in rote reliance on proxy advisory firm recommendations would go a long way toward mitigating the concerns arising from the outsized and potentially conflicted role of proxy advisory firms” supra note 14. Chair White indicated that proxy advisory firms play an important role in assisting institutional investors and stated that she was “particularly interested in the discussion of conflicts of interest that may or may not arise in connection with the participation of proxy advisors in our system.” Mary J. White, Chairman, Welcoming Remarks at Proxy Advisory Services Roundtable (Dec. 5, 2013). 18 See, e.g., Mary Jo White, Chairman, Completing the Journey: Women as Directors of Public Companies (Sept. 16, 2014), (encouraging greater diversity in public company boards); Kara M. Stein, Commissioner, Remarks to the Council of Institutional Investors (May 8, 2014), (SEC should consider permitting, if not mandating, universal proxy ballots and clarifying process for evaluating issuer no-action requests to exclude shareholder proposals); Luis A. Aguilar, Commissioner, Looking at Corporate Governance from the Investor’s Perspective (Apr. 21, 2014), (examining three fundamental principles of an effective corporate governance regime – accountability, transparency and engagement – in the context of the executive compensation process); Michael S. Piwowar, Commissioner, Advancing and Defending the SEC’s Core Mission (Jan. 27, 2014), (the SEC should “move forward with initiatives to curb the unhealthy over-reliance on proxy advisory firm recommendations”); and Daniel M. Gallagher, Commissioner, Remarks to the Forum for Corporate Directors (Jan. 24, 2014), (“Proxy advisory firms have gained an outsized role in corporate governance, both in the United States and abroad.”). 19 SEC Staff Legal Bulletin No. 20 (June 30, 2014). 20 U.S. Gov’t Accountability Office, GAO-17-47, Proxy Advisory Firms’ Role in Voting and Corporate Governance Practices (2016). 22 Id. 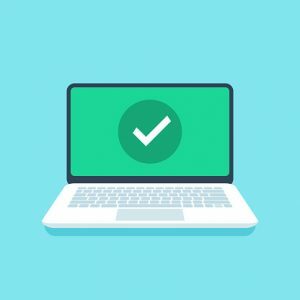 While the legislation defined a “reasonable time” to be one that did not interfere with the proxy advisory firm’s ability to provide the report to its institutional investor client, it is not clear how this process would be possible given the tight timelines during the proxy season. 23 S. 3614, 115th Cong. (2018) The legislation appears to have been intended to deny Glass Lewis the ability to rely on the publisher’s exclusion from registration as an investment adviser as it specifically states that a proxy advisory firm may not rely on section 202(a)(11)(D) of the Advisers Act. 24 See Statement Regarding Proxy Advisory Letters (Sept. 13, 2018). 25 See, e.g., Adam Kokas, Exec. Vice President, General Counsel and Sec’y, Atlas Air Worldwide, Remarks at U.S. SEC Roundtable on the Proxy Process (Nov. 15, 2018). 26 See, e.g., Dorothy Shapiro Lund, The Case Against Passive Shareholder Voting, Coase-Sandor Working Paper Series in Law and Economics 846 (2017); and José Azar, Martin C. Schmalz & Isabel Tecu, Anticompetitive Effects of Common Ownership (Jan. 30, 2015). 27 See, e.g., BlackRock Index Investing and Common Ownership Theories (Mar. 2017); Daniel P. O’Brien & Keith Waehrer, The Competitive Effects of Common Ownership: We Know Less Than We Think, 81 Antitrust L. J.l No. 3 (Feb. 2017); Pauline Kennedy, Daniel P. O’Brien, Minjae Song & Keith Waehrer, The Competitive Effects of Common Ownership: Economic Foundations and Empirical Evidence (July 2017). 28 The Federal Trade Commission held a hearing addressing common ownership in December 2018. A European Parliament member recently told the Financial Times that “[t]he effects of [large passive funds] have to be taken into account and regulated,” and the European Competition Commissioner has been looking into issues since December 2018. See Siobhan Riding, Brussels targets large index fund managers on “common ownership” (Jan. 21, 2019). The OECD held a hearing on common ownership in December 2017. 29 Jay Clayton, Chairman, SEC Rulemaking Over the Past Year, the Road Ahead and Challenges Posed by Brexit, LIBOR Transition and Cybersecurity Risks (Dec. 6, 2018). 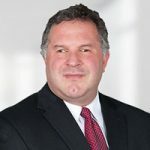 30 Elad L. Roisman, Commissioner, Brief Statement on Proxy Voting Process: Call with the SEC Investor Advisory Committee (Feb. 6, 2019). 31 See, e.g., Division of Risk, Strategy and Financial Innovation and the Office of the General Counsel, Current Guidance on Economic Analysis in SEC Rulemakings (March 16, 2012). 32 Recent data published by the Investment Company Institute indicates that during the 2017 proxy season, funds cast more than 7.6 million votes for proxy proposals. See Mitler, Collins & Donohue, supra note 15. 33 “Because a mutual fund is the beneficial owner of its portfolio securities, the fund’s board of directors, acting on the fund’s behalf, has the right and the obligation to vote proxies relating to the fund’s portfolio securities.” See Fund Rule Release, supra note 3. 34 “As a practical matter, however, the board typically delegates this function to the fund’s investment adviser as part of the adviser’s general management of fund assets, subject to the board’s continuing oversight.” Id. 35 A board’s oversight is subject to its general fiduciary duty, and the “business judgment” rule should apply so long as the board has exercised reasonable judgment and not put its interests above those of the fund and its shareholders. 36 Fund boards that rely on the adviser’s policy and procedures should conduct a periodical review to determine the continued appropriateness of such policy and procedures. 37 The SEC staff in SLB 20 suggested good practices for an adviser to consider with regard to retaining the services of a proxy advisory firm and in determining whether to maintain such services. With regard to initial retention, the SEC staff suggested an adviser diligence the adequacy and quality of the proxy advisory firm’s staffing and resources and examine the robustness of its policies and procedures with regard to, for example, conflicts. With regard to maintaining such services, the SEC staff suggested, for example, periodically sampling proxy votes to determine if they are consistent with the adviser’s policy and procedures and having a process to investigate any material factual errors identified that formed the basis of a recommendation. 38 For example, many advisers include in their proxy voting guidelines that the adviser will make a case-by-case determination for more controversial proposals rather than having a proxy advisory firm vote according to a pre-determined guideline. 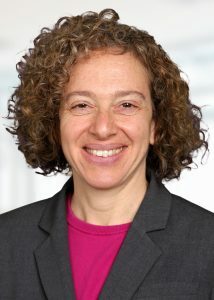 Sara Crovitz, most recently Deputy Chief Counsel and Associate Director of the U.S. Securities and Exchange Commission’s Division of Investment Management, provides counsel on all aspects of investment company and investment adviser regulation. She worked at the SEC for 21 years, including 17 years in the Division of Investment Management focusing on issues under the Investment Company and Investment Advisers Acts of 1940. While in the Division, Sara supervised the provision of significant legal guidance to the investment management industry through no-action and interpretive letters, exemptive applications, IM guidance updates and other written and oral means.